Looking for low maintenance living with the convenience of Downtown Columbia? Then come see this great 479 sq. 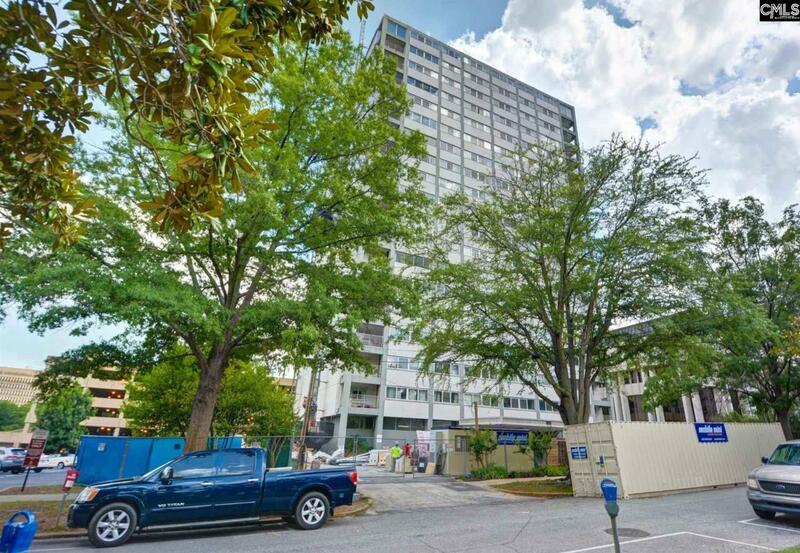 ft. condo located in the heart of Downtown Columbia with a spectacular skyline view of the city. Upon entering the condo, you enter a formal foyer, which opens to an open kitchen featuring granite countertops, tile backsplash, and hardwood floors. This condo is located on the 18th floor overlooking Columbia's skylines. Senate Plaza amenities includes exercise room, sauna room, assigned covered parking garage, pool, laundry facilities, conference room, 24 hours security, a designated parking space, and all the utilities (light, water, sewer & cable). For private showing please call 803.799.6145.